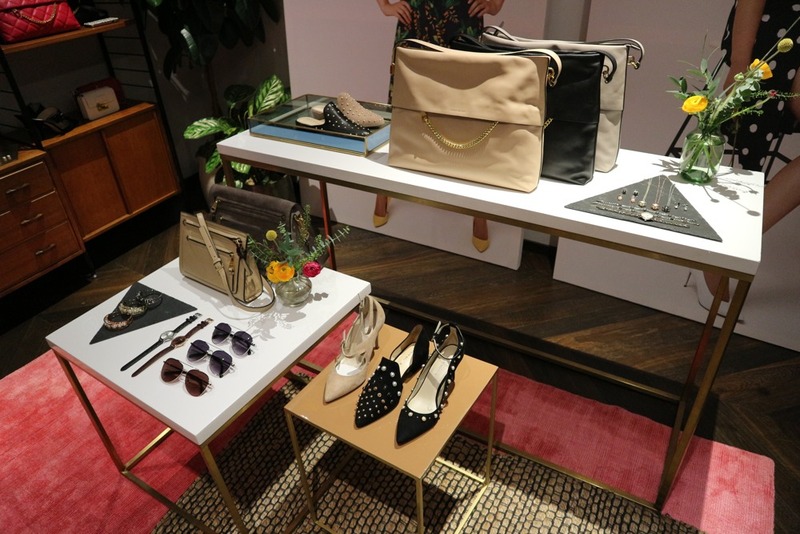 Lasnight I was invited along by Mondottica to attend the Karen Millen S/S 2018 press preview. 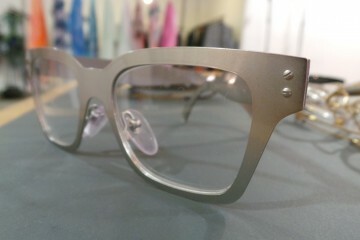 I was there to look at the eyewear created by Mondottica. 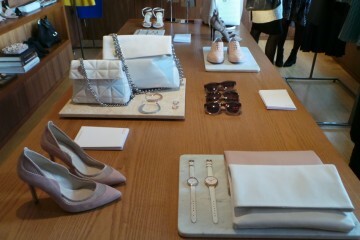 The clothes were amazing and so were the accessories but of course, I was there to focus on the eyewear. 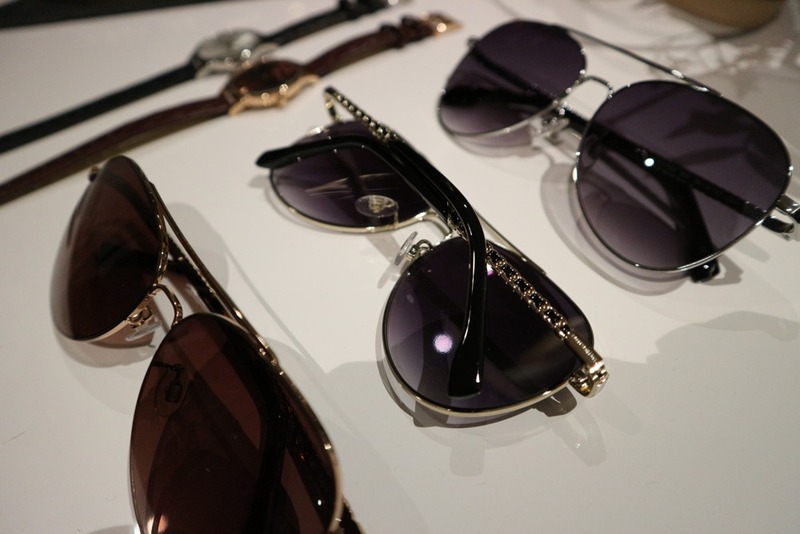 Since it is the Spring/Summer collection, sunglasses were the main focus. I have always said this (and I will say it again), it is always so nice to see the eyewear together with the clothing and accessories. 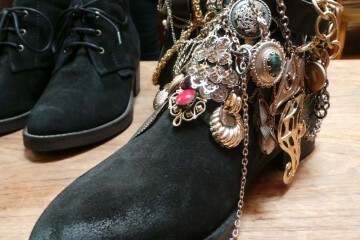 You can really see how the entire collection flows together, how they work together and how they compliment each other. 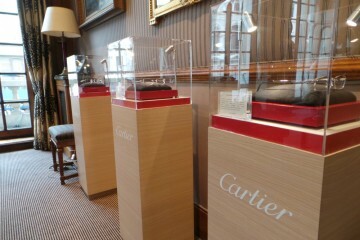 It is always harder to imagine how well the eyewear works with the clothing when it is just an eyewear press day. Seeing one campaign image with about 20 pairs of glasses is not as good as being there, with the collection and all the items they compliment. My favourite within the S/S2018 collection is the pinky purple marble effect acetate. I love the colour combination, it just works so well together. That colour will also suit most skin tones, I personally think that one will be a good seller. The classic aviators with a twist also caught my eye. From the front, it looks just like another aviator but down the temples, there is a nice chain detail which goes perfectly with the Karen Millen jewellery and bag ranges. The aviator in rose gold was a winner for me. 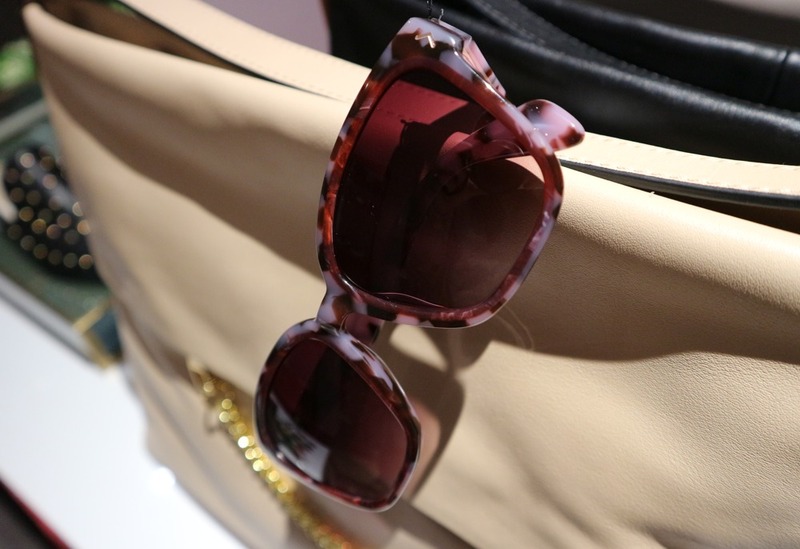 This was an exclusive preview, today is the official Karen Millen press day so I was extremely privileged to be invited along by Mondottica, Karen Millen’s eyewear partner. The full range will be out early next year, they will be available on the Karen Millen website, stores and across selected optical stores. If you like what you have seen, remember to set yourself a reminder for early 2018 so you can grab yourself a pair and ready for Spring. Thank you to Mondottica once again for inviting me along.